A painting by the artist Leon Golub. A former Franklin Pierce University art professor and her son have been ordered to repay nearly $500,000 for selling forged paintings by the artist Leon Golub. After two hours of deliberation, a jury in federal court in Concord on Thursday ruled in favor of the plaintiff Andrew Hall, who brought the civil suit after discovering that 17 paintings purportedly by Golub were clever fakes. Hall bought the works from Lorettann and Nikolas Gascard of Rindge in 2011. Andrew Hall exiting federal court in Concord, NH on Thursday. He was awarded $465,000. Though not a household name, Golub was a major contemporary artist in the second half of the 20th century. Hall, a prominent collector, already owned pieces by the artist, and acquired more from the Gascards through a series of transactions. In 2015, while Hall was preparing for an exhibition of Golub paintings at his gallery in Vermont, Hall's assistants discovered the works were likely forgeries. Lorettann Gascard was a student of Golub in the late 1960s, and claims to have remained a lifelong friend. Nikolas Gascard informed Hall during the transaction of the family’s relationship, but failed to disclose how exactly his family came to acquire so many previously unknown Golubs. The Gascards testified that the paintings were found rolled up in a closet in Germany, where they were cleaning out a relative’s apartment after her death. After shipping the works back to New Hampshire, Nikolas Gascard admitted that he then created titles and years of creation for the paintings before selling them through auction houses Christie’s and Sotheby’s, as well as through direct sales to Hall and a collector in Australia. Hall testified that if he had been told this version of the paintings' whereabouts, and the conjured titles, he never would have completed the transaction. During the trial, Hall’s lawyers brought in a leading expert in the work of Golub to testify. 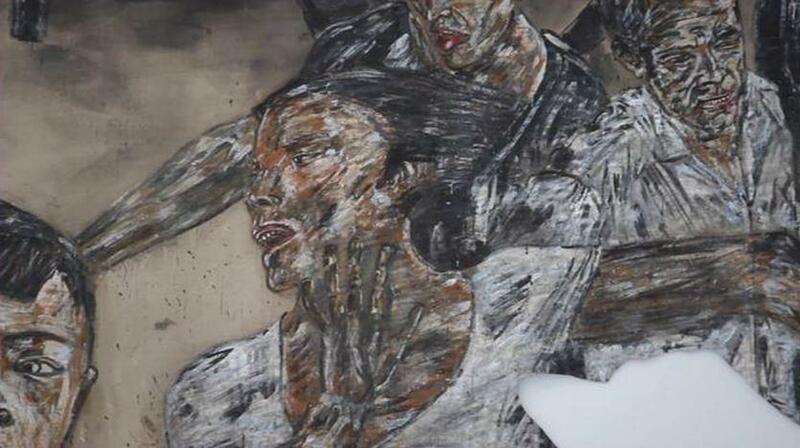 Professor Jon Bird called the paintings “wrong,” and described how they failed to resemble authentic Golub works. The Gascards didn’t appear to react as the court clerk read the jury’s verdict. They declined to comment, or say if they plan to appeal. The jury was treated to an art lecture on the third day of testimony in a forgery case involving a prominent collector and a New Hampshire mother and son. Andrew Hall, who operates a gallery space in Vermont, is suing Lorettann and Nikolas Gascard of Rindge, claiming they sold him 17 fraudulent paintings by the deceased artist Leon Golub. New court documents reveal how a former Franklin Pierce University professor and her son say they obtained valuable works of art. Those paintings, by the New York-based artist Leon Golub, were then sold to a collector who claims they are forgeries. This story first broke last year, centering the art world’s attention on an unlikely location: Rindge, New Hampshire. NHPR’s Todd Bookman joins Morning Edition Host Rick Ganley for an update on the case. A unique legal case is playing out in a Concord courtroom this week. Andrew Hall, a prominent art collector, has accused a Rindge mother and son of selling him fake paintings. The defendants say the paintings are in fact real, leaving a jury to decide who is telling the truth. 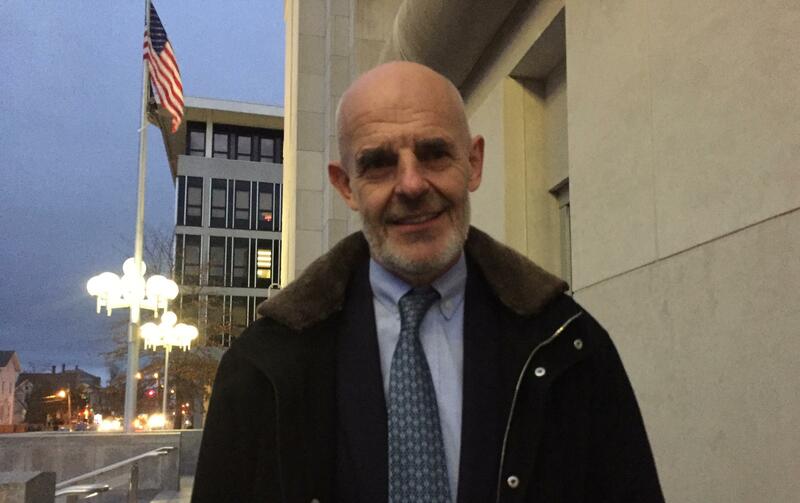 NHPR’s Todd Bookman, who attended the first two days of testimony, joined All Things Considered Host Peter Bielo to talk more about the case.